Alberto Puig is the manager of MotoGP that has best squeezed the transfer market. 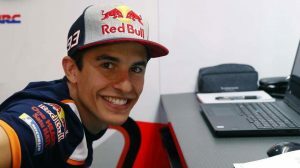 The 500cc former rider renewed Marc Márquez to continue a project that, if everything goes his way, will accumulate five MotoGP titles in the last six seasons but also took advantage of a golden opportunity: securing the services of Jorge Lorenzo for the Repsol Honda Team. For now, between them, they accumulate eleven World Cup titles and 134 victories. Puig will lead one of the most successful teams of all time. 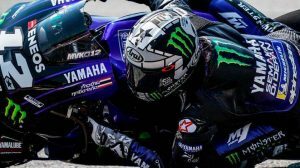 On the hiring of Jorge Lorenzo has spoken with Emilio Perez de Rozas, special envoy to the Grand Prizes of El Periódico. A very interesting interview in which he explained the process that followed: “Honda decided, this time, to take some time, a few months, to analyze and decide who was going to be his second rider.” During those months, many things happened and I myself felt several possibilities without offering, never, any contract. After deciding that Dani Pedrosa would not continue with us, I realized something that I found surprising and, at the same time, incredible: Jorge Lorenzo, five-time world champion, three MotoGP champion, was free and nobody wanted him, it was when I thought, without acrimony and, God forbid, without criticizing anyone: the big teams do not want to win, it may be a very primary reflection, but I thought about it “. The goal of Puig is to offer “everything they need” these two champions. Facilitate “the best material” possible. There is no fear of having two roosters in the same pen. “The level athletes, the winners, the elite athletes, no matter the specialty, the real champions, are usually complicated, yes, and complicated does not mean they are worse, or better.” Complicated is that they are very demanding and that they create, around him, a very competitive environment, which can generate conflict … Come on, they take you out of the comfort zone you lived in! But a three-time champion was free and I did not doubt it, “he acknowledged. Alberto is clear that “if Lorenzo adapts to the bike, he will go fast and Marc will find a way to raise his level to win and that will make him an even more complete rider”. 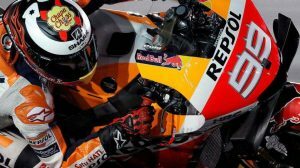 “The presence of Lorenzo will make Márquez even better,” said the Honda executive.